On March 10th at 8pm, you can bet I was grinning pretty hard as my platinum trophy for Final Fantasy XV popped. Not only is it my little badge of honour for a game I've had over 100 hours of fun with, it's my first platinum trophy since 2015 and my second JRPG one since I platinumed Persona 4 Golden in 2014. Platinum trophies are my excuse to stay in worlds I don't want to leave yet, and this Final Fantasy XV trophy gave me another 60 hours of gameplay to satisfy my addiction to its open world. The extra time I spent in Final Fantasy XV going through the trophy list and finding out what I needed to do was actually pretty fun and it isn't that difficult of a platinum to get compared to my three (or more? I can't remember) playthroughs of Persona 4 Golden. 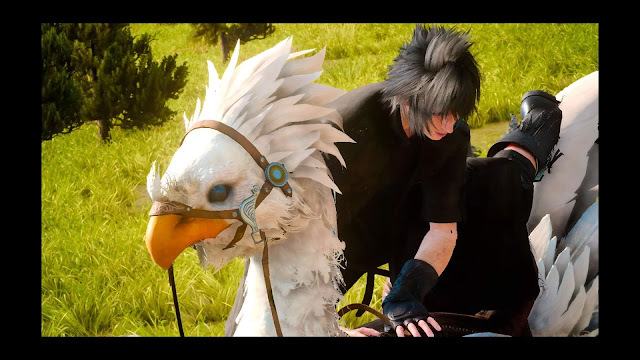 Final Fantasy XV’s platinum was mostly pain free because it simply requires time and if you waited until the end game like myself to explore the open world, you'll probably find a lot of new things that you didn't know you could do in Eos. As I've said in my other Platinum Trophy posts (you know, in 2015), the purpose of this post is not to guide you into getting the platinum trophy as there are plenty of fantastic sites such an PSN Trophies that do a great job at that already. This post is to inform you about the experience of getting it. Most platinum trophies are no small feat and while this one was relatively pain free compared to other experiences, it might not be for everyone. Here's the best and worst of Final Fantasy XV’s Platinum Trophy experience for those ready to spend more time with Noctis and his crew. Spoiler note: I have included Hidden trophies names in this post, but not descriptions to avoid spoilers as much as possible while still describing my Platinum Trophy journey. I don’t think there are any major story or event spoilers in this post, but proceed at your own risk! Final Fantasy XV has 51 trophies to unlock. This includes the platinum and 50 trophies, including 42 Bronze, 5 Silver and 3 Gold. The time it takes to get the platinum trophy will of course vary from person to person, but by the time I was done my hour count was at around 120 hours. The good news about Final Fantasy XV’s trophy list is that there are a lot of trophies for just doing basic tasks and completing the main story. Completing the main story alone will yield you a good 15 trophies, and you’ll definitely get other trophies along the way just from playing. In fact, the first tutorial will probably see you pop multiple trophies for doing basic battle tasks and this is a trend with Final Fantasy XV’s trophy journey. 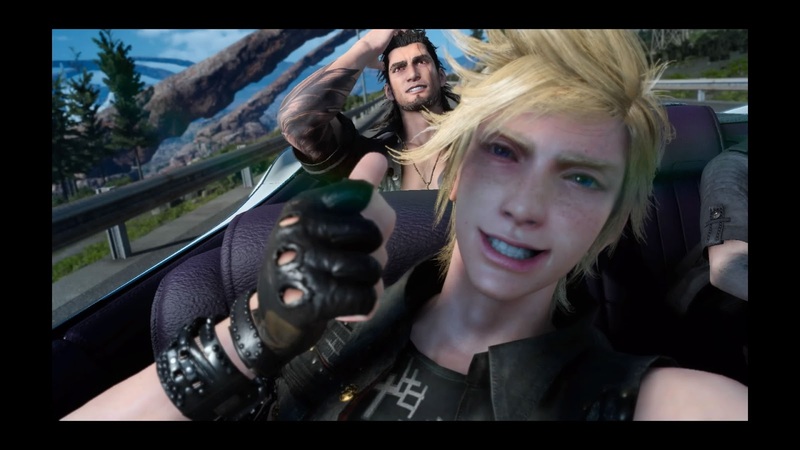 There’s a trophy for doing most of the activities available to explore in Eos at least once, such as riding a chocobo or driving the car for the first time. I was only missing the High Five for Justice! Trophy at the end of story and was able to get it in less than five minutes once I decided to go for the platinum. Most people will probably get a good majority of these on their first playthrough and they’re fairly simple to go back and do if you missed one, making getting the bulk of Final Fantasy XV’s trophies quite easy. The most challenging trophies of Final Fantasy XV involve running through dungeons, big boss battles and a lot of quests. They'll require some levelling and healing items and are deserving enough of their gold and silver ranks. The toughest one for me was Tortoise Toppler trophy and I left it till last. Even with my characters at level 100, it took time and items but the 30 minute battle that ensued had my tension levels at their peak because I didn't want to lose all that time for nothing and made winning feel damn good. The other hard trophy from this list was the Faithful Heir one that required a lot of dungeon crawling, but the dungeon battles weren't the hard part, it was more the amount of them and some of the maze-like areas that I definitely got a little lost in. As a fan of dungeon crawlers and recently games with a lot of exploration, I found this one enjoyable for the most part, but I may have referenced a guide or two for some of the more difficult dungeons (a certain tower comes to mind). As for the quest trophies I've mentioned here, the challenge of these trophies is probably subjective, but if you sped through the story, doing so many quests will take some time and a lot of running around the map to do tasks big and small. The more difficult trophies I mentioned will complete some quests to help you do these, but doing 80 quests will naturally require a significant time investment. 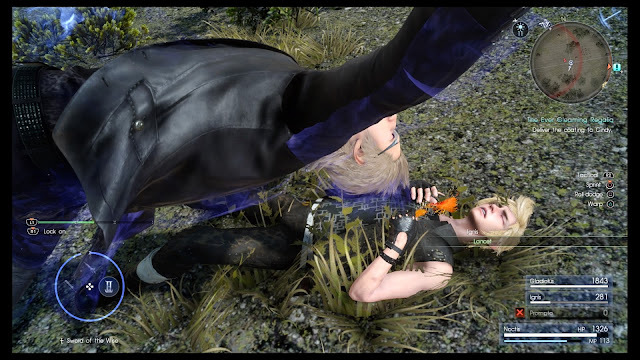 Side note: There are little tricks I found that you can do to make Ignis and Prompto’s skills easier to complete: I spammed Prompto’s Snapshot skill in battle and you can camp many times in a row to get Ignis’ cooking skill up much faster. 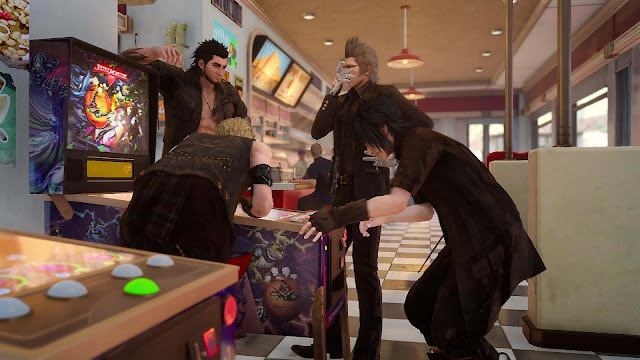 I didn’t find a secret to getting Noctis and Gladio’s skills up faster, so you can leave it in the comment if you did! It's probably worth noting that I put two of the seemingly more difficult gold trophies here, rather than in the ‘Challenging’ part of this post. This is because I didn't think they were that challenging, but they do require a little levelling up time to get AP. I ended up liking unlocking ability nodes, particularly the combat ones, as I had no idea how many cool skills there were to unlock and some of the posey teamwork moves the group do now are really cool. As a Final Fantasy XV fan that's a completionist at heart, I had a lot of fun getting this platinum trophy and I found it to be a mostly fun experience. I had about 60% of the trophies when I started my platinum trophy journey and got myself up to around 80% mostly through quests. A lot of the trophy’s goals are easy to combine for efficiency, which is good considering how overwhelming most platinum trophies can seem. For example, while trying to get 80 quests done for the Weaving a Tapestry trophy, I made sure to run to every quest to up Gladio’s survival skill, fish out any rivers I found along the way and camp a lot. It also gave me that ‘being on the road exploring with the guys’ feeling that XV does so well, making the around 60 hours it took me to get the platinum (after my initial 40 hour playthrough) go by much faster than I thought based on Persona 4 Golden standards. As with any platinum, if you're not addicted to or in love with the game you're platinuming, you're probably not going to love it. I'm in the group of people who did love XV and I'm satisfied with the extra time I spent playing it. 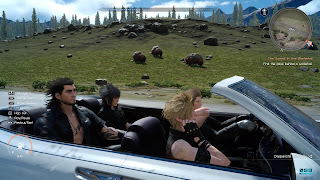 If you're like me and you loved the exploration and brotherhood aspect of XV, the platinum trophy is a fun way to get the most out of the Final Fantasy XV universe by meeting side quest characters and beating big bosses and it is certainly not a bad way to kill time while waiting for the next piece of story DLC. Will you platinum Final Fantasy XV? What was the last JRPG you platinumed?